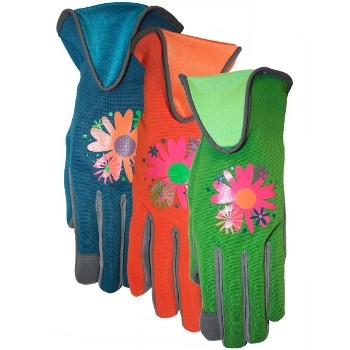 Fashion and function is ideal in this garden glove. The synthetic leather palm provides protection and the spandex back offers comfort. Shirred elastic at the wrist provides a snug fit. Mobility is maintained with the box finger design.